Our Scientific Advisory Board (SAB) is comprised of leading chordoma researchers, as well as experts in related fields, including cancer genetics and drug development. The SAB identifies priorities for advancing the development of treatments for chordoma and shapes the Foundation’s research roadmap. David Drewry is an expert in medicinal chemistry and drug discovery, with a special interest in protein kinases. For 24 years he worked in drug discovery at GlaxoSmithKline (GSK), where he led teams across the preclinical spectrum of drug discovery. 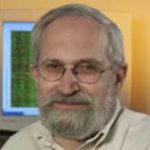 His research interests include the art and science of medical chemistry, kinase inhibitor design, utilization of annotated sets of kinase inhibitors to build understanding of signaling networks, and precompetitive chemical biology to facilitate target identification. Since leaving GSK, David became a founding member of the Structural Genomics Consortium at the University of North Carolina. In addition, he is currently the head of chemistry at Meryx Pharmaceuticals, a biotech startup focused on small-molecule kinase inhibitors for the treatment of cancer. Dr. Flanagan is Professor of Musculoskeletal Pathology at the University College London and Clinical Lead and consultant histopathologist at the Royal National Orthopaedic Hospital in Stanmore. She runs an active research program on bone cancer, and has made seminal discoveries about the molecular biology and genetics of chordoma. 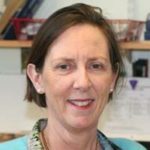 She collaborates with the Wellcome Trust Sanger Institute on the Chordoma Genome Project and is co-PI on the International Cancer Genomics Consortium bone cancer initiative. 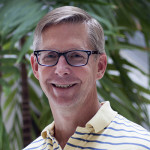 Dr. Hodge is Deputy Laboratory Chief of the Laboratory of Tumor Immunology (LTIB) and Biology, National Cancer Institute, NIH, Bethesda, and a Senior Investigator and head of the Recombinant Vaccine Section in the LTIB. He is active in the area of tumor immunity and has made significant contributions to the design and development of novel recombinant vaccines and vaccine strategies for cancer immunotherapy. The concepts and therapeutics developed have been translated into many randomized multi-center trials at numerous Cancer Centers. 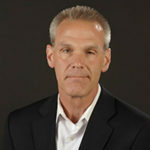 Dr. Hornicek is Chair and Professor, Orthopaedic Survey at the University of California, Los Angeles. He was formerly Professor in the Department of Orthopaedic Surgery at Harvard Medical School and Chief of the Orthopaedic Oncology Service at Massachusetts General Hospital. 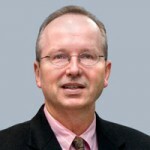 He was also Co-Director of the Center for Sarcoma and Connective Tissue Oncology and director of the Stephan L. Harris Center for Chordoma Care at MGH. In these roles, he leads a coordinated, cross-disciplinary chordoma research effort. 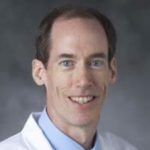 Dr. Kelley is Associate Professor of Medicine at Duke University and Chief of Hematology and Oncology at the Durham VA Medical Center. His lab has a major focus in chordoma, and in collaboration with colleagues at the National Cancer Institute has identified brachyury as a cause of familial chordoma. Dr. Meltzer is a medical oncologist and Chief of the Genetics Branch of the Center for Cancer Research at the National Cancer Institute. He is regarded as a leading expert in cancer genomics, and has led major genomic profiling projects for multiple tumor types including sarcomas, melanoma and breast cancer. 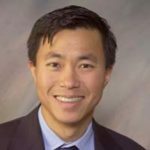 Dr. Park is Associate Professor of Neurology and Director of Medical Neuro-Oncology at the University of Chicago, where he provides care for patients with chordoma and brain-spine tumors. He has served as principal investigator of clinical trials for chordoma, and his research aims at developing novel treatments.